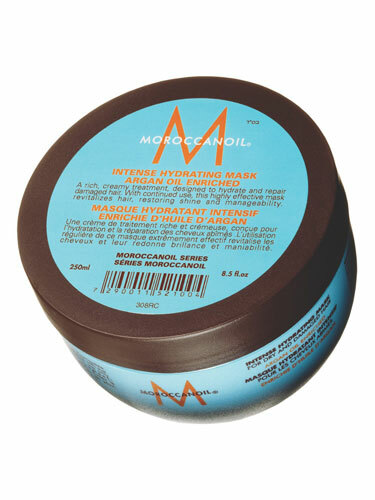 Moroccanoil Intense Hydrating Mask naturally and effectively moisturizes, repairs and adds shine to all hair types. Damaged hair regains its resiliency, dull hair glistens again and all hair is softer and more manageable. Distribute a teaspoon of the mask evenly through clean, damp hair. Use more for longer hair or as a second application to ends and try a wide-tooth comb for more even distribution. Leave in for 10 minutes and then rinse thoroughly with warm water.